What about corporate bonds? What are they and how do they work? I’ve researched this subject and will include many of those $10 words (in italics) associated with this investment vehicle. First a definition: Corporate Bonds are transferable long-term debt instruments that pays a fixed interest rate. Issuers must payback principal at maturity to bondholders who DO NOT have ownership rights in the issuing firm. A corporation can raise capital by borrowing money from investors via bonds rather than selling more stock. 1- Company can deduct interest costs. 2- Does not relinquish ownership as it does with stock. 3- Can enhance its credit history. 4- Avoid higher bank rates. 5- Avoid bank’s variable rates. 6- Avoid bank’s shorter term loans. Under the Trust Indenture Act of 1939, all bonds valued at more than 5 million must be issued by an indenture (legal agreement that spells out the terms) and appoint a trustee to protect bondholders. 3- Coupon Rate which is the annual interest rate, usually paid semi-annually. 4- Maturity date which is the date that the issuer must repay the entire principal. Some companies issue a Call Provision where they can buy back the bond prior to maturity. This protects the company from falling interest rates so they can refinance debt at a lower rate. Another way to remove bonds from its books is by Defeasance. Here the company buys newer, higher-yielding securities that cover both the interest and principal payments of the original debt. Some companies will issue bonds with a Put Provision giving investors the right to sell the bond back to the issuer, usually at par ($1000). This helps investors in times of rising interest rates when bond prices are falling. Bonds are returned and the cash is re-invested in higher yielding instruments. Interest Rates and Bond Prices have an Inverse Realationship. Inflation brings on higher interest rates and therefore lower bond prices as investors move cash out of bonds. In an economic slowdown, inflation is lowered and more bonds are purchased as bond prices tend to rise. Corporate bond prices are given as a % of par. So 95 means 95% of $1000 or $950. A- Premium Bonds- costs more than face value. B- Discount Bonds– Costs less than face value. nominal return because it is based on actual cash invested rather than par. as you will receive par or $1000). evaluate the creditworthiness of the issuing company. stock This positive feature allows the issuer to pay a lower coupon rate. Most are traded in the OTC Market (computers etc.). Bid and ask prices are quoted in the Yellow Sheets and trading activity is found in the financials of most newspapers. They are quoted on a % of par. For example, 96 = $960. Interest is taxed as ordinary income for the year it is received. You also must factor in capital gains or losses previously alluded to. 1- Credit Risk– company can default on princiapl and interest payments. 2- Interest Rate risk– bond loses value if interest rates increase. 3- Marketability– may be difficult to sell in the future. So there you have it. Corporate Bonds made simple (I hope). As you can see, there is much due diligence required when investing in corporate bonds. We all must factor in the amount of time we can spend on our investment homework and where to put it. 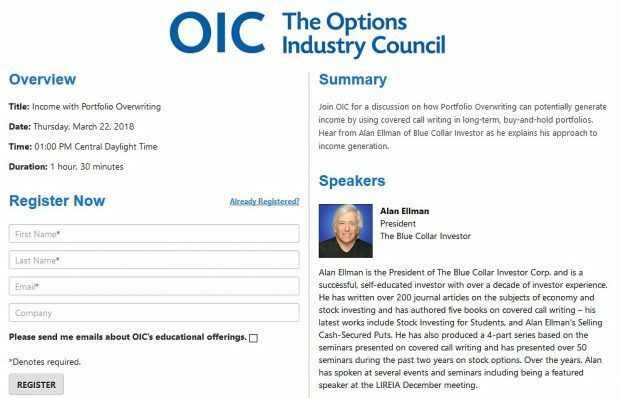 I devote most of mine to stock options because of the impressive returns I generate. Since I do recognize the importance to be diversified into this asset class, I dollar cost average into I-Bonds which requires virtually no time commitment. But knowledge is power and that is why I decided to research and share this information with you. As many of you know, I have been away the last 2 weeks presenting seminars for Norwegian cruise Lines. I have been keeping a close eye on the economic news of the day. What’s transpiring in our economy is unprecedented, certainly in our lifetime. I have temporarily stopped selling options (but retained most of my equities) until it becomes clearer when our economy will stabilize. I wish you all strength during these trying times. We’ve heard a lot of talk about this mark-to-market accounting as it relates to the Emergency Economic Stablization Act of 2008 (rescue plan, bailout, whatever). This is an accounting methodology whereby a financial instrument is assigned a value based on the current market price. For example, if you bought 100 x XYZ @ $50 per share and now the stock trades @ $30 per share, the mark-to-market value would be $3000, not $5000. This is the value it could claim in the current market. In the Rescue Plan, the SEC has the ability to suspend Mark-to-Market Accounting if it (along with consulatation with The Federal Reserve Board and the Department of the Treasury) determines that it is the public inetrest and protects investors. Many financial institutions that own Mortgage Backed Securities (MBS) were forced to deeply mark-down the value of the MBS due to the inability to sell them. This resulted in margin calls from investors. You would receive a margin call from a broker if one or more of the securities you had bought (with borrowed money) decreased in value past a certain point. You would be forced either to deposit more money in the account or to sell off some of your assets. However, potential cash flows from many of these securities suggested a much higher value. Because the SEC feels that the market may not be “orderly” at this time, fair value standards should be more liberally applied to reflect expected cash value. This would then protect investors from margin calls at a time when additional cash is hard to come by. Alan, what exactly is a (MBS)? do they have a name on the market? and how did these mortgages go from a bank or a mortgage broker to the financial institutions to be sold in the first place? An MBS is a type of asset-backed security that is covered by a collection of mortgages. They are also referred to as “pass-through certificates”. Individual mortgages are pooled, repackaged, and sold to the public as collateralized securities. They are issued by government agencies (Ginnie Mae, Fannie Mae, Freddie Mac) and represent an investor’s ownership in a mortgage pool and the cash flows arising from that pool. You are in essence lending money to a homebuyer and receiving principal and interest in return ususally in coupon form. They are issued to “select” broker-dealers known as “fiscal agents” and are normally sold to institutional investors. They do trade in the secondary market exclusively in the OTC market (computerized markets) and sold in $25,000 and up increments. The process is called “securitization” whereby an illiquid asset (mortgage) is converted to a liquid one like a bond (in this case a MBS). Tony, that’s pretty much the extent of what I know about these securites. If you were considering investing in this arena I would contact someone with more expertize in the field. I have been thinking outside the box and have a question. AMGN closed friday at 59.89. It meets our stock selection critera for ratings and earnings was Oct 22, and stock selector 10. I can STO NOV 57.50 for4.25 which would net 1.86. (4.25-2.39) which would earn about 3% for the next 18 days. But my thought on this. I can STO a put for 57.50 for 1.80 and net about the same 3% and not have to put up the $5989 to purchase the stock. I know that selling naked puts is dangerous. Is there a way to get out of the put if the stock reverses from its upward trend before it reaches the 57.50 price. At present it has a 2.39 cent cushion. I haven’t ever sold a naked put and I know they can go to zero but this is one of our premier stocks. If there is a reasonable exit is it feasable.